As you turn off the busy High Street Kensington and swing past the iconic Design Museum, flanked by the luscious greenery of Holland Park, you’ll find yourself in Ilchester Place – a street replete with 18th-century architecture and officially the most expensive street in Britain. New research from Lloyds Bank has revealed that the average house price on Ilchester Place – the exclusive part of Kensington and Chelsea which is home to Robbie Williams and Led Zeppelin’s Jimmy Page – is a staggering £15.6m. 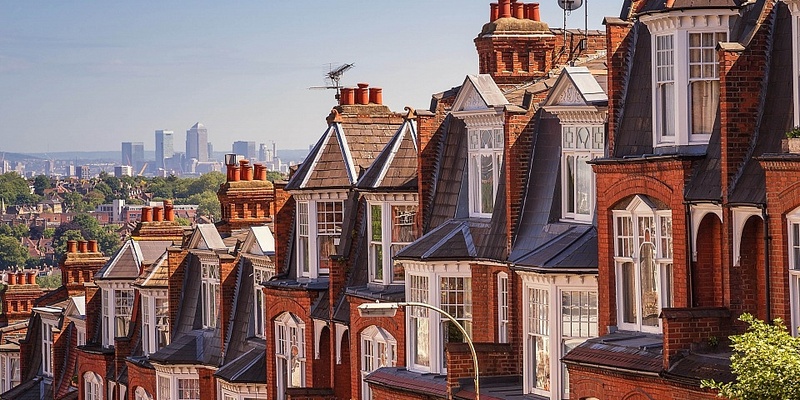 Nine out of the 10 most-expensive streets in the nation are found in London, but it’s not just in the capital where multi-million pound properties can be found. Read on to discover the most expensive streets in England, Wales and Scotland. Looking to make a move and need expert mortgage advice? Call Which? Mortgage Advisers on 0800 197 8461. If you’ve got at least £9m to spare, you could buy yourself a place on the swankiest streets in Kensington and Chelsea or Westminster. Following Ilchester Place, the average property in Eaton Square in Westminster comes in at a cool £13.7m, while a property on Knightsbridge will set you back £13.3m. But if you want to bag a bargain on one of London’s most expensive streets, Astons Road in Northwood, just past Ruislip, will only cost you £4m. Rounding out the UK’s top 10 is Camp End Road in Weybridge, in the South East – a 25-minute train ride from London. Weybridge is inhabited by many Chelsea footballers, and was home to Beatles John Lennon and George Harrison. The average property in Camps End Road is £5.6m. Here are the top-10 most expensive streets in the UK. Source: Lloyds Bank research, based on Land Registry data. Average house prices are taken from October 2013 to October 2018. Runnymede Road in Ponteland, Newcastle, is the most expensive street, with homes costing £1.09m on average. Congleton Road in Alderley Edge is the most expensive street with homes selling, on average, for £2.3m. Fulwith Mill Lane in Harrogate has the most expensive homes, costing £1.61m on average. Rising Lane in Solihull, at an average price of £1.9m, is the most expensive street in the West Midlands. Cour D’Honneur in Burley, Oakham is the most expensive street in the East Midlands with an average price of £1.49m. Storeys Way in Cambridge is the most expensive street in East Anglia, with an average house price of £2.28m. The exclusive Sandbanks peninsula, in Poole, is home to the most expensive street in the South West – Panorama Road, where the average property costs £2.59m. According to Lloyds Bank, Llys Helig Drive in Llandudno ‘is the only £1m street in Wales, with an average price of £1,121,000’. In Scotland, Golf Place in St Andrews came in as the most expensive part of the country, with the average property price set at £1.975m. The vast majority of the top 10, as shown in the table below, can be found in Edinburgh. Use our area comparison tool to work out average property prices in the area you want to buy, with information about schools and other useful local knowledge. And you can find all the tips and tricks you need when it comes to how the process works with our guide to how to buy a house. If you’re looking to make a move, Which? Mortgage Advisers can give you independent advice on getting a mortgage. Call them today for a free consultation on 0800 197 8461 or fill in the form below for a free callback.